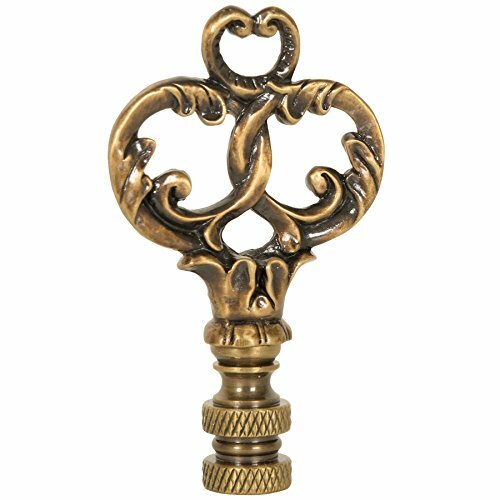 Ornate Triple Loop lamp finial is finished in Antique Brass. Finial is 3 inches high. Base will fit most lamps.